So Where's Apple's New Hardware? I know, I know. Before you go choking me, I do realize that WWDC is supposed to be software-focused developer show, and Apple certainly didn't skimp on that area one bit. 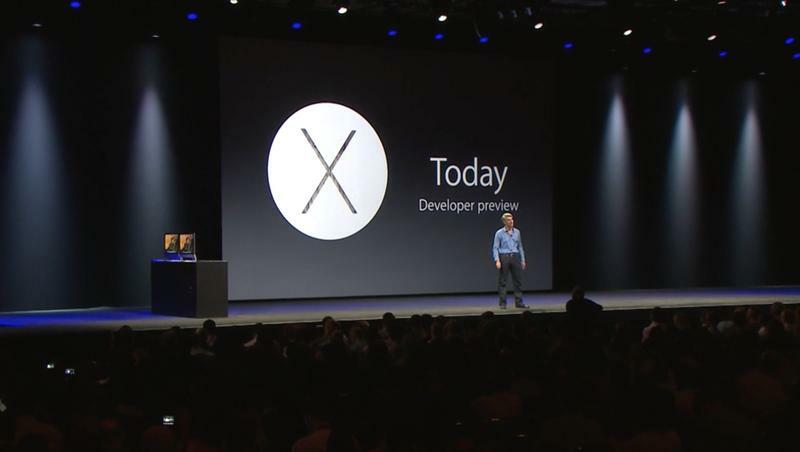 We were treated to OS X Yosemite, which has been completely redesigned with a more translucent look and an iOS feel. There are boatloads of new features, including the ability to accept and place phone calls from your computer, view notifications in a brand new Notification Center panel with support for third-party widgets and so much more. Meanwhile, iOS 8 has amazing new features for Messaging, including group chat changes, push-to-talk voice messages, support for third-party app usage of Touch ID and Notification Center widgets, tighter tie-ins with OS X, HealthKit for managing your health and so much more. And I have a right to expect new hardware to some degree. Last year Apple refreshed its notebooks and unveiled the brand new Mac Pro, its cylindrical and expensive desktop computer. I thought at the very least we might see something like the MacBook Air with Retina display. Or, and this was basically just a wish upon a star, something like the iWatch or a refreshed Apple TV. There was even a wacky rumor over the weekend that we might see the iPhone 6 – though I didn't ever truly believe that was going to happen. I guess just knowing that last year we saw new hardware and, knowing Apple's intentions to release new hardware this year, I thought we might get a peak at something ahead of time. It looks like Wall Street might have been expecting the same thing – the stock is down 1 percent despite the exciting software news. I'm not really disappointed, I think iOS 8 and OS X Yosemite look like exciting updates to both platforms, and that's not to mention developer tools like Swift that will help devs create new and exciting applications. I do think Apple needs to show us some hardware soon, though. The company promised new categories, and competitors haven't slowed down a bit. Google I/O kicks off later this month, for example, where we'll very likely see Android Wear and more for the very first time. Will Apple keep quiet all the way until September, when we expect the iPhone 6? It's starting to look like it.